Today I saw a new at 3D perspective blog about a company who has built a hydrogen fuel cell powered network electric car, which was unveiled to the public for the first time on June 16, 2009, and a foundation called 40 Fires, which has created a forum to develop energy-efficient cars using an open source approach. 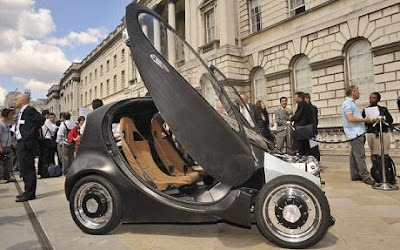 It was so different when you design and engineer your car via a platform/forum of engineers throughout the world all having input into the intellectual property of the vehicle then the vehicle itself will probably look very different - and may even be much much better!! 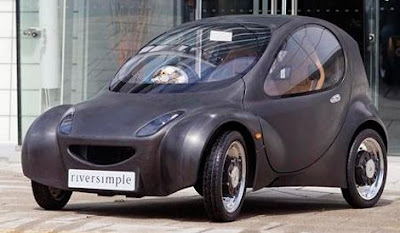 Riversimple is really bringing us hope for a new world of products and, more importantly, services for sustainable mobility. I just came across to your blog and reading your post about hydrogen car it is looking very nice thanks a lot for sharing this.